DENVER, September 10, 2009 - Frontier Airlines Holdings, Inc. (OTCBB: FRNTQ) announced today that the Bankruptcy Court for the Southern District of New York has confirmed the Company's Plan of Reorganization. Company Has Cleared Last Major Hurdle before Emerging from Bankruptcy. 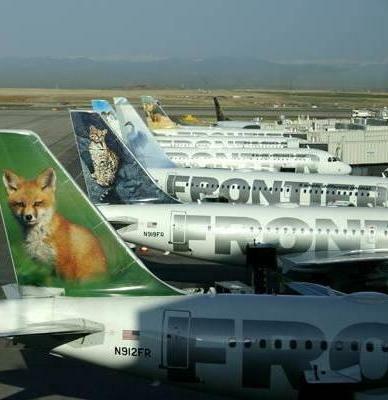 Frontier Airlines Holdings, Inc. is the parent company of Denver-based Frontier Airlines and Lynx Aviation. Currently in its 16th year of operations, Frontier Airlines is the second-largest jet service carrier at Denver International Airport, employing approximately 5,000 aviation professionals. Frontier Airlines' mainline operation is made up of one of the youngest Airbus fleets in North America offering 24 channels of DIRECTV® service in every seatback along with a comfortable all-coach configuration. In conjunction with a fleet of Bombardier Q400 aircraft operated by Lynx Aviation, Frontier offers routes to more than 50 destinations in the U.S., Mexico and Costa Rica. In addition, Frontier and Midwest Airlines have a codeshare partnership that allows passengers of both airlines access to 70 destinations in the U.S., Mexico and Costa Rica. Republic Airways Holdings, Inc. (NASDAQ: RJET) expects to close on its purchase of Frontier Airlines on or about Oct. 1, 2009, after which Frontier and Lynx will become subsidiaries of Republic, alongside Midwest Airlines and Republic’s other wholly owned subsidiaries.